Why would the republican President Donald Trump’s former fired Chief Strategist have in mind by rushing off to Italy in the middle of their snow storm? Whenever Italians mention the US President Donald Trump, I simply take time to remind them that this period in time is similar to their experience with their past leader, Silvio Berlusconi. 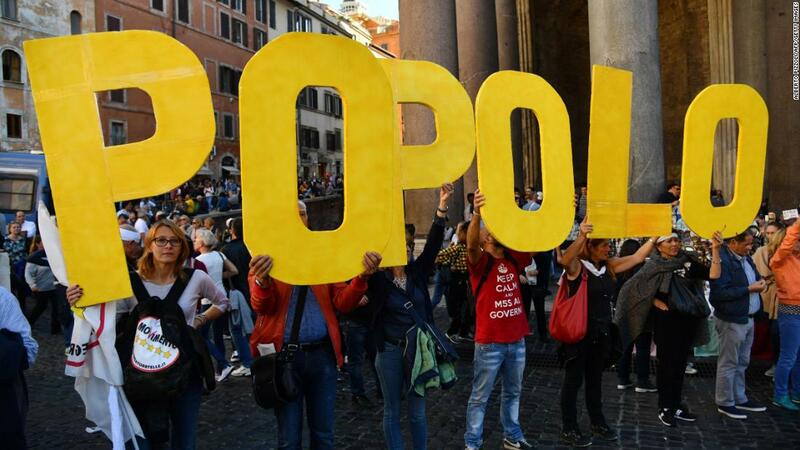 But he’s back…Italians are set to go to the voting polling locations on March 4, 2018 which is the next big test for a rising populist agenda being promoted throughout Europe. So now, the former Italian billionaire mogul Prime Minister Silvio Berlusconi, who was considered a relic of the past, has placed himself at 81 years of age, again in the spot light which he dearly loves. He can be now called, Italy’s “comeback kid.” His center-right coalition headed by Matteo Salvini, head of the far-right Northern League is leading in recent polls with 36 per cent of the vote, with the anti-establishment Five Star Movement led by former Prime Minister Matteo Renzi and a centre-left coalition led by current Prime Minister Paolo Gentiloni, where each are earning about 28 per cent of the votes. They are running to replace the incumbent Paolo Gentiloni who has served as Prime Minister from December 12, 2016. Italian Northern League leader Matteo Salvini/ REUTERS/Tony GentileEven though, Mr. Berlusconi is banned from being in public office at Palazzo Chigi, the seat of the Italian government, if his Forza Italia (Make Italy Strong) party wins the election on March 4, as its party leader, he can call the shots from a distance. Even if Mr. Berlusconi’s center-right party fails to win the most votes, it is probable that its members will be courted by others to form a grand coalition which means the Cavaliere (Mr. Berlusconi will be back in the ball game of Italian politics. 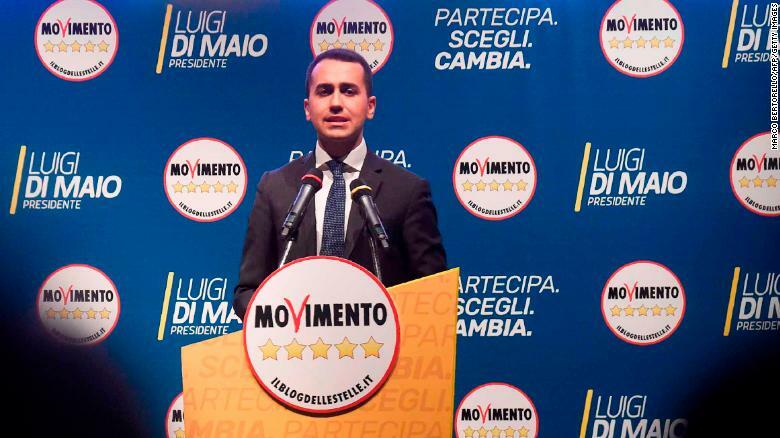 Luigi Di Maio, leader of the Five Star Movement, hopes to become the next prime minister. The trip was confirmed to the Guardian by a senior lawmaker with the Northern League as well as a personal friend of Bannon’s based in Rome. Bannon, a former investment banker and film producer who became executive chairman of Breitbart after its founder’s death in 2012, joined the Trump campaign in August 2016 as chief executive. He was fired in August 2017 by new chief of staff John Kelly. 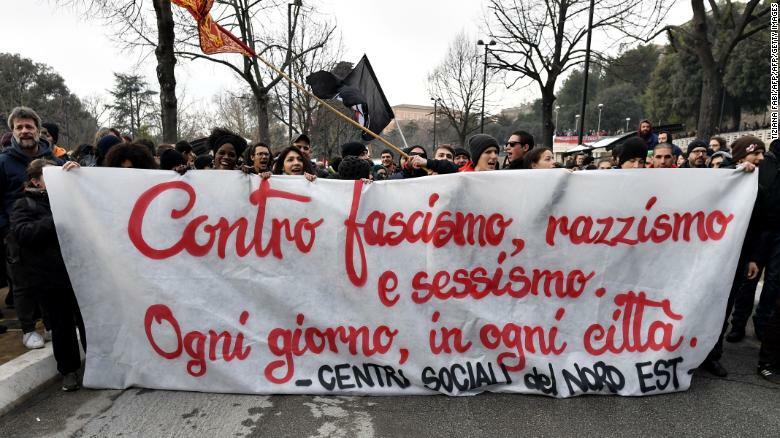 Salvini’s Northern League is part of a coalition that includes Silvio Berlusconi’s Forza Italia and which is predicted to be the largest political force in the Italian parliament after Sunday’s election (3/4/18). Is Bannon helping to rig the Italian elections? Should he be registered as a foreign agent, if he choose to be advisor to Mr. Berlusconi? Is he following the directive from his alt-right base, to sow the seeds of his populist anti-establishment agenda? The news reports that I read said nothing more than Steve Bannon was headed to Italy and that he was excited about the race. At this late date, I don’t know what he could do except be an observer but I am only guessing. The news report did not offer a lot of details. The president is not even good in business. He is also very short sighted. There is a special election coming up in Pennsylvania, district 18 which includes portions of Greene, Washington, Allegheny and Westmoreland counties.Pittsburgh is in Allegheny county. Pittsburgh is known as both “the Steel City” for its more than 300 steel-related businesses, and as the “City of Bridges” for its 446 bridges. Are you getting the same picture that I am seeing? The race in district 18 should favor the republican party but the democrats have an outstanding candidate Conor Lamb who could pull an upset. The race is scheduled for March 13. The Washington Post is thinking like me. Italy. Shakes head, can’t begin to think of what to say. Sigh. Maybe Mr Bannon feels there maybe a job opportunity? Or maybe a place where he can rest and refit with like-minded folk. He could pick worse places to refresh himself, reconnect with friends as he networks a little. It’s obvious that he loves to eat. I just don’t want the far right intolerant parties winning anywhere in Europe. I hope that Mr. Berlusconi is kept out of having any foothold into Italy’s political government.